Pooches Paradise is a dog friendly hotel in Bolney, Haywards Heath. Not only are you sure of a warm welcome; they also serve OSCAR pet food too. What more could your pet need? Venture are keen to see pets and families happy - just like OSCAR. Not only do they take amazing photo's but they offer advice too. Why not take a look? Wood Green, The Animals Charity has been taking in and rehoming animals since 1924. The Charity rehomes over 5,000 animals a year and has set national standards in animal care. A collaboration of the UK's pet welfare organisations have come together to develop this website for anyone with an interest in educating children and young people about caring for pets. So, whether you are a teacher, parent, youth group leader, brownie or scout, this signposting website has been designed to help you find everything you need. Read more here at the bottom of the page. The British Franchise Association (bfa) is the voluntary self regulating governing body for franchising. All bfa members have chosen to be vetted against a strict code of business practice and endeavour to be good franchisors that can deliver the success that you want. 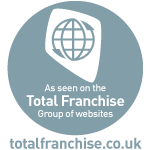 TotalFranchise.co.uk, the complete business franchise opportunity directory of UK business investment franchises. Research franchising with Totalfranchise, where we help you every step of the way in starting your own franchise business! 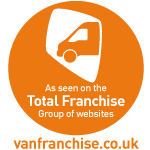 Van franchise.co.uk is the van-based franchise resource website dedicated to vehicle based management franchises and owner operator franchise business opportunities. The PFMA is the principal trade body representing the UK pet food industry. PFMA comprises of 60 member companies which accounts for over 90% of the UK market. whichfranchise.com, is the UK’s number one website for free franchise information, advice and opportunities, and the official online partner to the British Franchise Association (bfa). Established in 1948 The Stafford is a magazine for enthusiasts of the Staffordshire Bull Terrier. The Stafford is circulated world-wide and carries a variety of regular and special features of particular interest to the Staffordshire Bull Terrier enthusiast. OSCAR regularly contribute articles to the magazine relating to behaviour and feeding the right diet. Puppy Planet is a site where people can find & advertise pedigree puppies and dogs for free. Myerscough College offers a comprehensive range of full-time and part-time courses in Animal Management and Welfare. The Sheffield Retired Greyhound Funds single aim is to provide fully vetted and loving homes for as many retired greyhounds as possible so that these beautiful animals can continue to live a full and enjoyable life at the end of their careers. Sponsor from as little as £10 per month or just £60 per year. Your sponsorship will help to ensure that we can continue to offer homes to as many greyhounds as possible. Sue Watkins our Local Nutritionl Advisor from Glastonbury sponsors this local rescue centre. She especially cares for those with behavioural or digestive problems. One of our customers, cared for by Lesley Lavin our Local Nutritionl Advisor from Cheshire runs this great website; dedicated to their gorgeous Golden Retriever and her Champion stock puppies. One of David Bass' customers from Cheshire runs this website with a mission to provide professional, stimulating walks and services to our canine companions in and around the Alsager area.